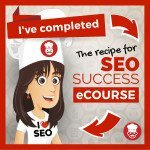 Feeling overwhelmed about SEO? Struggling to get your website seen in search results? Here are some SEO essentials that will help. For some people, SEO can feel as mysterious and unknown as the remotest pockets of Antarctica – and almost as challenging to navigate. What is this strange beast? And how the hell do you apply it to get your website seen in search results? It sounds obvious, but I come across A LOT of sub-pages with obscure urls containing random digits and characters like http://cdn07.bertscaravans.cc/7rf9e2/i?HXLD=iaj4058jgt… (you get the gist). Every aspect of your url doesn’t have to be perfect, but it should be easily understood. Shorter is better than longer (ideally 50-60 characters) because short urls are easier to copy & paste and to embed, which will encourage sharing across social media and other websites. Pick the best keywords for your products & services. Keyword research is quite a skill. Picking the right keywords can have an incredible affect on your sales and leads. Just because a keyword has great search volume, doesn’t mean it’s going to drive sales. A lower volume keyword might only generate a handful of leads, but if those leads convert to sales… To pick the best keywords for your products and services, you need to know your customers. What search terms are they using to find you? What stage of the buying cycle are they at? 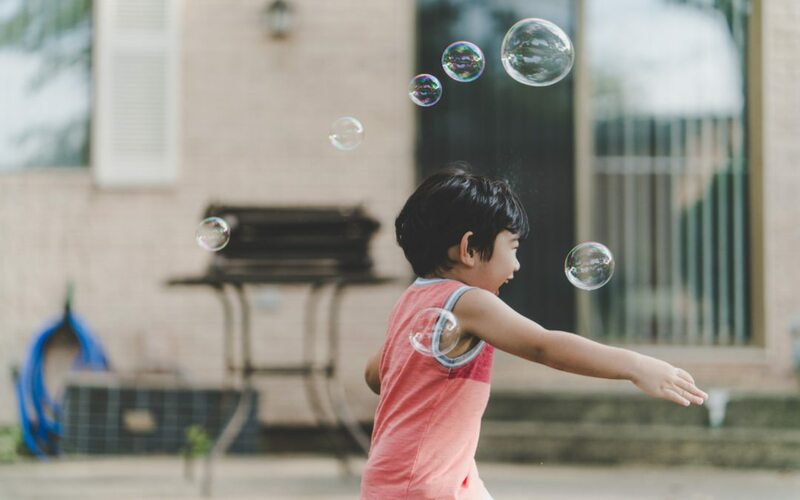 For example, a customer searching for flannelette bloomers is a lot further down the buying cycle than a customer just searching for underwear. They’ve already spent time researching and they’ve narrowed it down to the type they want to buy. Use tools like Google Adwords and Semrush to compare competition and search volumes for different keywords. In a perfect world, you want targeted keywords with low competition and high search volumes. Your url. This way, it will show up in search results and have an impact on your click through rate (research shows readers rate urls highly when deciding whether to click through or not). Your title tag (The description that shows up in search results above your meta tag to define your page). This is a great place to use your brand name and primary keyword. Try to limit the title tag to 50-60 characters so that the end isn’t cut off in search results. In your headlines (especially your main H1 and H2 headlines). Although, it’s not essential because headlines are becoming less important from an SEO point of view. But if the keyword adds meaning and intrigue to the headline – include it. Most importantly, headlines are a great way of breaking up clunky text and keeping your visitors reading. The first 100 words of text. The first paragraph of your content should give readers and search engines an idea of what your page is about. Use your primary keyword here to highlight its relevance. You can even bold keywords to give them extra emphasis. At least 3 times throughout the page. Search engines crawl your content to figure out what the page is about. It’s a good idea to use both primary and secondary (including a mixture of short and long) keywords throughout your page content. But don’t over do it. The keywords must happen naturally within the story. If you make your content interesting and valuable to readers, Google will rate it more highly. As alt tags for your images. Search engines can’t ‘crawl’ images, so attach a relevant keyword to each image to increase its impact. There are 2 types of links – on page and off page. On page is the easier part. Link important products and services to relevant pages within your website. This will increase visitor interaction and make your subpages more visible. Off page is a little trickier. This involves getting high domain and relevant websites to link back to your site. Search engines can see you’re highly regarded in your industry if you’re constantly being referred to by popular sites. The best way to get high quality external links is to offer unique, relevant content (in exchange for a bio and link). This can be time consuming – and expensive, if you’re paying someone else to write the content for you. But it’s very effective. The higher the domain, the bigger the impact on your SEO. Smaller sites also hold importance – especially local sites. And you may be able to get a mention (say, from your local community club) for free if you’re holding a special event or releasing a new service that’s relevant to the community. There’s no harm in asking! The most important part. If your content is thin, poorly written and unoriginal, you haven’t got a Woolly Mammoth’s chance of ranking in search engines. Creating great content is time consuming, but essential. The type and length of your posts should be driven by your readers and what they want. Do they want short and sweet news updates? Or do they need lengthier, in-depth technical advice? The more your readers interact and share your content, the bigger the SEO impact. So, write in a language they will relate to. Put yourself in their shoes – what would you want to read about? What’s hot on the table right now? Offer fresh information that hasn’t been put out there yet. Apply all of the above SEO tips with each blog post you publish. And pick a longer search phrase as your primary keyword because they’re specific and targeted – and you’ll have a better chance of getting the post to rank in search engines. SEO takes patience and hard work, but if you commit to the above strategies, you’ll begin to see results. And the beauty of these SEO essentials? Once you’re ranking, you’ll continue to see results unlike other marketing strategies where the leads dry up as soon as you stop spending. If you're still confused, get in touch. I like that all it takes is an easy Google search to find info like this that will assist me become familiar with digital marketing in general. I’m curious, the length of time have you been working in this industry? So pleased that you found my article, Christiane, and found it useful. 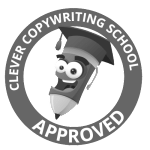 I’ve been copywriting now for over a decade – what is it that you do?